Drexel University is a top ranked national university situated in the heart of Philadelphia and home to some 11,000 undergraduates. 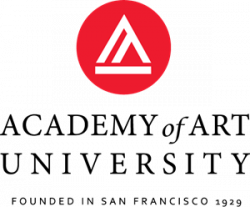 It also boasts the distinguished Westphal College of Media Arts & Design which couples studio work with experiential learning. Students of the Animation & Visual Effects major draw from a full spectrum of coursework both within and outside of the department while benefiting from the university’s acclaimed cooperative education program that enables them to alternate classroom work with professional (and often paid) experience. ACR: Dave, thanks for participating in our latest Q&A. To start, tell us about your own background and how you found yourself teaching Animation & Visual Effects in Drexel's Digital Media program. DM: I came from an art and illustration background and started getting animation work in 1996. By 1998, I founded Magic Animation where I did everything from storyboarding through modeling, surfacing, lighting, rigging, animating and of course rendering. I got started when there were no formal training options, so my learning curve was anything but smooth. When the opportunity to teach at Drexel came along in 2009, I went for it to share what I've learned and provide a smoother learning curve for students than I had. ACR: Drexel’s Animation & VFX major is highly regarded and its student work is impressive. What are some elements of the curriculum that make the program what it is? DM: Animation & VFX is a major in the Digital Media program along with Game Art & Production and Web Development & Interaction Design. For the first 5 terms, everyone has the same foundation courses in modeling, animation, design and web. Afterwards, ANIM students go on to learn compositing, organic modeling, character animation and rigging before going on two term co-ops. Most of those co-op positions are paid positions and recent co-op companies have included Marvel, Nickelodeon, Comcast, and Microsoft. The senior year is dominated by a year-long senior project where students form their own groups and work on a project of their own design. Electives within the program include additional courses on character animation, effects, and game production workshops, but students have the opportunity to take electives throughout the college and from other colleges of Drexel University which is the advantage to attending a university. A special opportunity exists for top students. We offer a 5 year accelerated BS/MS degree which students can apply for near the end of their sophomore year. They then begin taking graduate courses along with their normal load of undergraduate courses, which allows for completion of a Masters just a year later. ACR: With so many industries leveraging animators today, how does Drexel prepare students for the diverse fields they may be working in? DM: Our curriculum is a healthy balance between technical and creative instruction where students gain hands on experience in every phase of the production pipeline. Not only does this mean they can be plugged in at any position or stage of a production, but that broad knowledge base allows for creative and innovative solutions to problems. Furthermore, the university environment allows for opportunities to apply their skills to very diverse projects such as those involving cultural heritage, medical training and education, engineering and robotics to name a few recent projects. ACR: Many prospective students can’t wait to get their hands on the hardware and software tools of the trade. What software can they expect to use at Drexel and how important are they? DM: I must say that we stress the theories behind the tools so our students could work with any toolset which is especially important as more companies have their own proprietary tools. With that said, we strive to maintain the best tools and provide instruction in those tools such as Maya, Mudbox, ZBrush, Modo, Nuke, Unity, Houdini, Renderman and Massive. Additional applications would include Topogun, Mari, 3D Coat and the full Autodesk Creative Suite. Literally the biggest thing which sets us apart from most schools when comparing equipment though is our motion capture studio which is a 40’ x 35’ space with 16 Vicon cameras. ACR: Are there particular tools or applications that students today seem to gravitate towards? DM: Modo is growing in popularity because it has such strong modeling tools and works well with other applications such as Maya. ZBrush and Renderman, naturally, are very popular. 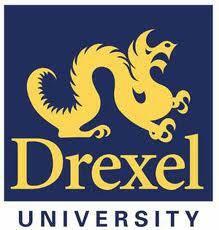 ACR: Lastly, what does Drexel’s location in Philadelphia offer students? DM: Philly is a culturally rich city for students to explore and experience. Plus, we’re roughly 2 hours from either NYC or DC. There’s a lot that this area offers for both work and play. ACR: Dave, thanks for participating!